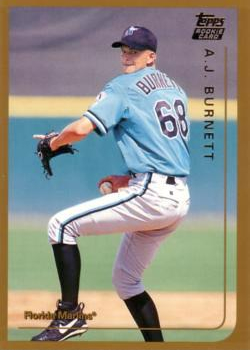 Is It Time For An AJ Burnett Reunion? Jobu ponders if a reunion with old friend, AJ Burnett is what the Yankees need to be real contenders. When the Yankees didn’t make the playoffs in 2008, they completely retooled and signed just about every big free agent on the market that year. It just so happens that one of those same guys is, once again, a free agent. The Yankees have the first four spots in the rotation sealed up, and have said they will let the kids try to win the last spot, but would a reunion with A.J. Burnett be more beneficial? 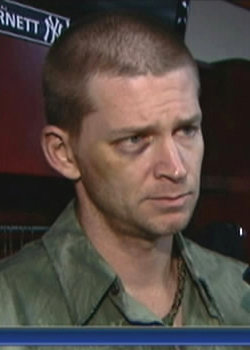 There’s no denying that Burnett’s first tenure with the Yankees ended in disaster. After being a legitimate asset in their World Series run in 2009, Burnett’s career hit the skids during his last two years as a Yankee. He went a combined 21-26 in 2010 and 2011, with a ridiculously terrible 5.20 ERA. In 2010, he led the league in hit batsmen with 19 (look out!) and he led the league with 25 wild pitches in 2011. Like home runs? Well he allowed 56 over that two year span, so you were in luck during his starts. In the end, the Yankees finally just dumped him off on Pittsburgh, trading him for a couple of minor leaguers named Diego Moreno and Exicardo Cayones. It was a total dump off trade, and everyone was ecstatic about it. Burnett quite literally turned everything around after joining the Pirates, winning 26 games and losing 21 over the last two seasons. His ERA over that time dropped to 3.41, and he only allowed 29 homers. Last year, his strikeouts even jumped to 9.8 per 9 innings, which was actually good enough to lead the National League. He’s been a big part of the reason that the Pirates have turned things around the last couple of seasons. And, he hasn’t received any mysterious black eyes that no one is allowed to talk about (although he did take a bunted ball off his face in the spring of 2012). Burnett could bring a lot of good to the table in 2014. When the Yankees first signed him, his durability was a huge concern, as he had only had a couple of injury-free seasons under his belt at the time. He has made at least 30 starts every year of that five year deal he signed in 2009, though. Also, he’s been contemplating retirement for a couple of years, so the Yankees could possibly get him on a one-year deal, which gives the kiddies another year to develop. Also, one year of Burnett is far more appealing tan four or five years of a guy like Ubaldo Jimenez or Ervin Santana. There are some hefty cons to a possibly Burnett signing, however. First of all, He’ll be 37, and probably cost at least $10MM for a one year rental. I think you can argue that the kids (David Phelps, Manny Banuelos, Michael Pineda, Adam Warren and Vidal Nuño) could provide similar performance for a whole lot less money. Finally, do we really think the Yankees would reunite with AJ? I know Joe Girardi was not a huge fan (I still think Joe’s responsible for that black eye). I know by the end, the headaches Burnett cost were enough for the Yankees to dump him off, while still paying part of that big deal, for a couple of scrub minor leaguers, so I doubt Brian Cashman and the Steinbrenners are big fans either. At the end of the day, Burnett is worth exploring, but I really doubt he’d be a fit for this team. Any other pitcher with his resume would probably fit well, but there’s just too much history there. The Yankees are better off letting the kids play.